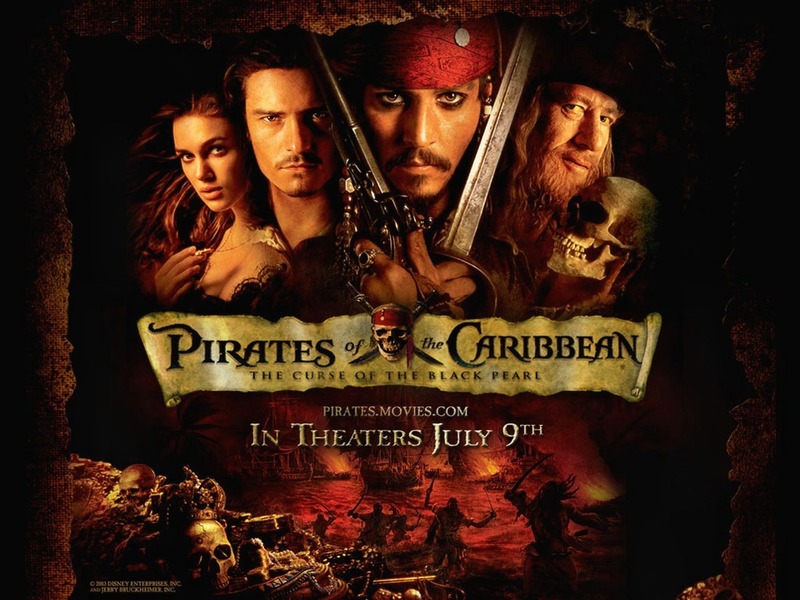 The new photos released this past week for “Pirate of the Caribbean: On Stranger Tides” got me thinking about the first time I saw the first ‘Pirates’ film in the series. I was 15 at the time and did not have the internet at my house, so I didn’t keep up with movie news nearly as much as I do now. I had obviously known who Johnny Depp was due to films such as “Edward Scissorhands” and “Sleepy Hollow,” but I had never really thought about how great an actor he really was. This all changed soon. “Pirates of the Caribbean: The Curse of the Black Pearl” absolutely blew me away. This was largely due to Captain Jack Sparrow being a character that you could just sit and watch him do anything, and you would be entertained the entire time. I never thought that something like that could come out of a Disney theme park ride. So now, in my look back at a phenomenal movie and a look forward to perhaps a better entry into the series, I give you some things you may have not been aware of in the first film in this series. Johnny Depp’s character, Captain Jack, is portrayed as having gold teeth in the film. These are real and Depp had his dentist implant those and others into his mouth for the production. Disney executive Michael Eisner thought there were too many and asked him to remove all but a few. The final cannon shot during the Black Pearl’s siege of the town, billows into a Mickey Mouse head shape against the night sky. Clothing and smears of charcoal were used to conceal Johnny Depp’s numerous tattoos. The “Jack Sparrow” tattoo on his arm in the movie is a fake, but he got a real replica after finishing the film, in honor of his son Jack. What was your initial reaction seeing POTC? Which film is your favorite in the series? Let us know below in the comments.